of material on the subject of reincarnation. "The question of whether there is such a thing as an afterlife has been pondered for as long as humans have been aware of their own mortality. 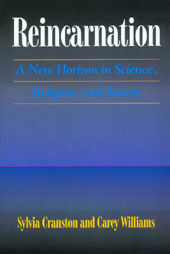 Though all world religions share notions of an afterlife, J. Allan Danelek informs us that the concept of reincarnation derives mainly from Eastern religious thought and is closely associated with the element of karma in Buddhism and Hinduism." "Danelek aims to provide an objective overview of the general theory, background, and existing evidence of reincarnation for the novice. Many motifs raised in the course of the book provide an ample springboard for further study." [Exploring Reincarnation is] the great definitive work on reincarnation; it is hard to imagine it ever being superceded. Colin Wilson. 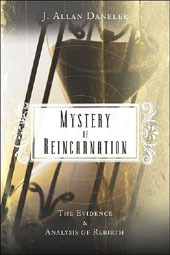 "[Here is] the best and most complete book about reincarnation on the book market nowadays. This is the encyclopedia of knowledge on this subject." 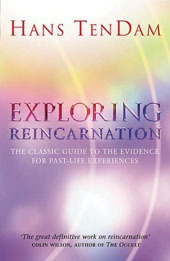 "Exploring Reincarnation examines the full range of explanations for pastlife recall. 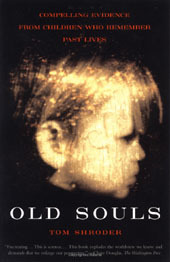 This definitive study includes case histories from around the world, as well as intriguing theories about the relationship between body and soul  from general social beliefs about past lives to detailed questions about karma and pastlife regression therapy. 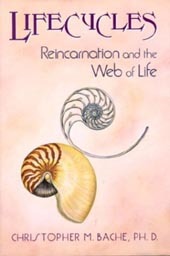 An outstanding introduction to reincarnation from a historical, scientific, and philosophical point of view". See the detailed Table of Contents to see the comprehensive nature of this work. 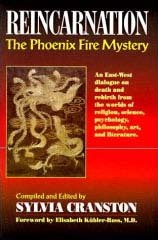 "This volume is unique in its ability to pull together all aspects of the theory. Moreover, the text is written so lucidly and with such flavor that even the most die-hard skeptic will come away with much to think about." "This comprehensive presentation examines scientific evidence of reincarnation, case histories, near death experiences, heredity, genius, etc. Explores social and religious issues, and includes lectures delivered at Harvard and Columbia." "The classic anthology, offering ancient and modern perspectives on Job's question: 'If a man die, shall he live again?' Spanning over 5,000 years of world thought, the selections invite consideration of an idea that has found hospitality in the greatest minds of history." "For centuries, the existence of reincarnation has been a firmly held belief of millions that crosses races, religions, and cultures. In Past Lives, Dr. Peter Fenwick and Elizabeth Fenwick examine this extraordinary phenomenon by attempting to determine whether people are experiencing actual memories, or thoughts and ideas based on imagination. Featuring over one hundred first-hand accounts from those who believe they can recall their previous existences, this insightful exploration of reincarnation may change the way you think and challenge your views of life itself "
"Most of the books about reincarnation skew towards reincarnation without questioning the phenomenon. This book doesn't do that." 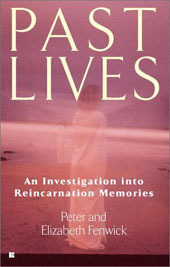 "Past Lives is an insightful exploration of reincarnation." "Unique in scope, Lifecycles combines the best scientific testimonies about reincarnation with philosophically sound yet accessible arguments about its implications. Lifecycles is the first book to both describe the dynamics of rebirth and explore the ramifications of adopting a reincarnationist perspective. The book begins with a masterful synthesis of recent findings from consciousness research and near-death studies. It includes the work of such eminent therapists and scholars as Stanislav Grof and Dr. Ian Stevenson, and critically surveys the most compelling evidence for rebirth. Lifecycles emphasizes the lessons for self-awareness and spiritual growth inherent in a reincarnationist world view, showing us how we can reconnect with the order, intelligence, and beauty of the universe around us." "American psychiatrist Ian Stevenson has spent more than 30 years studying the cases of some 2000 children who spontaneously remember concrete details about dead strangers whose experiences can be documented. On his two field trips, to Lebanon and India, he was accompanied by journalist Shroder, Sunday Style editor of the Washington Post." "Shroder's account of these expeditions makes for engrossing reading. In many cases, the subjects exhibit birthmarks or extreme phobias corresponding to injuries or traumatic events in their 'past lives.' They recognize the deceased's relatives and friends; in one case, a Lebanese boy asked the deceased's mother if she had finished knitting the sweater she was making for him when he died. That the compelling questions raised by such cases are ignored by the scientific establishment causes Stevenson great disappointment. 'For me,' he claims, 'everything now believed by scientists is open to question, and I am always dismayed to find that many scientists accept current knowledge as forever fixed.' The journalistic objectivity Shroder brings to his material makes this an exceptionally valuable treatment of an often disparaged subject."